During a winter evening our small group was awaiting the arrival of a hopeful sunset to finish off the final day of the course. In truth it never truly transpired, hints of good things to come evaporated as the clouds duly rolled in but never-the-less we found an intriguing foreground to use in conjunction with a splendid view across a reasonably quiet loch that generated ample quality reflections. 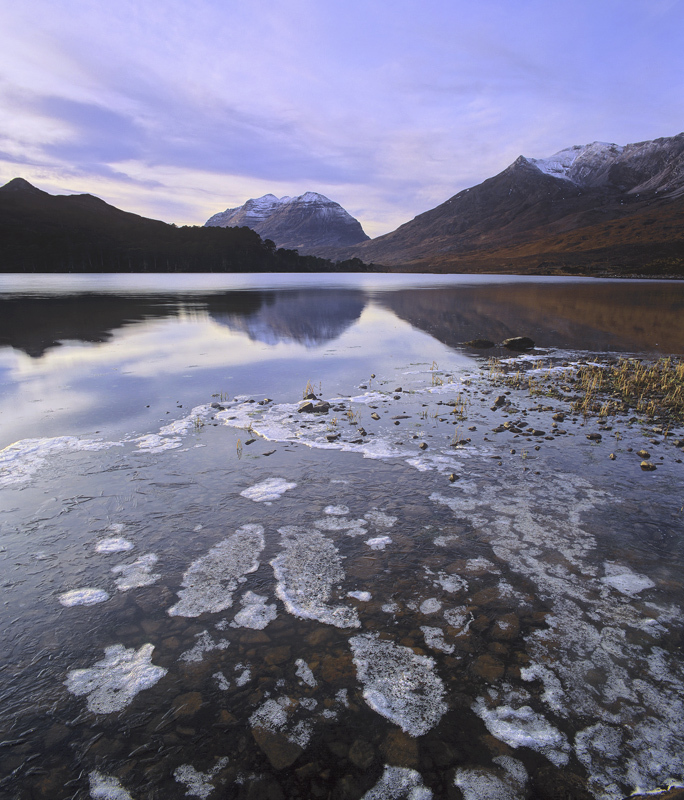 Small plates of ice had blown up against the foreshore and one particular collection formed a vague arrowhead towards Liathach. For a very brief moment light flickered across a Torridon peak painting it rust red, so I seized the moment and came a way with one very satisfying shot.